Crimson Rosella sharing a bit of sunflower seed and sliding down the bannister! Love the colours on this one, and he has his eye on you! Fantastic shot. 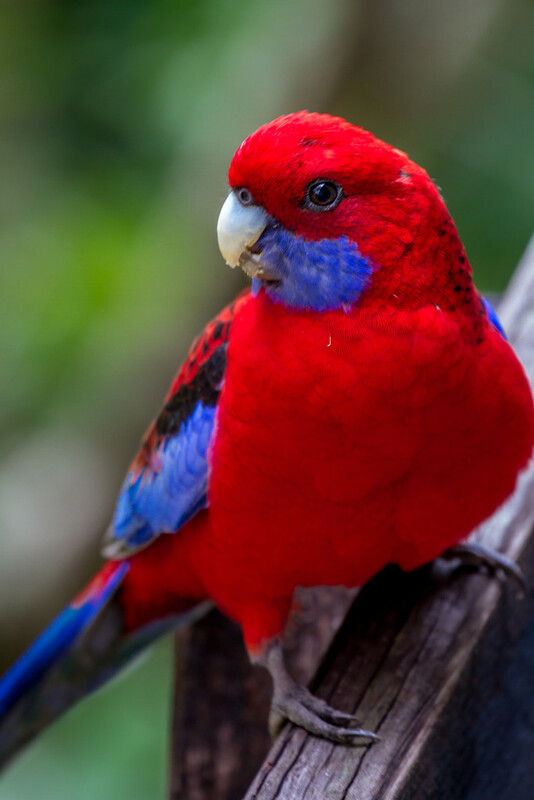 The Rosellas in my area a way to chicken to let me get this close. Beautiful bird and great shot.